Surfing the Internet?? 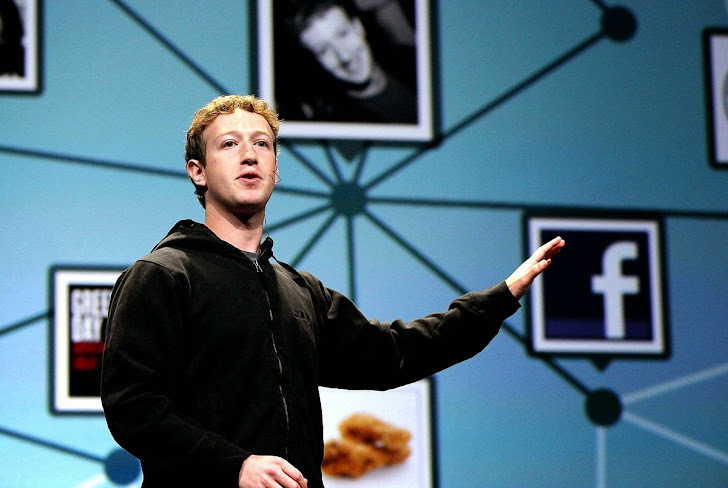 Facebook CEO Mark Zuckerberg is watching your every move on Web, and this time even more closure. It’s not surprising that Facebook collects data of its 1.3 billion users, just like everyone else, which the company has said it only holds onto your data for security and advertisement purposes. But, this would be first time when some company is using people's browsing history to deliver ‘targeted Ads’ on its service. The biggest social networking giant recently announced it has plans to use information from our Web browsing and app history to deliver more targeted advertisements to us. The move will track you with every site you visit, even its a non-Facebook website. EVERY SITE?? No! No! No! The company can’t track your online activity while visiting any website, but only those that have Facebook “LIKE”, “Recommend”, “Share” buttons across the web, and I think almost all have at least one included in it. Yes! Any website with a Facebook buttons, like the one you reading right now, or any website that allows you to login with your Facebook account is somehow connected to Facebook. Based on this fact, any website you visit will store information about your visit in the browser, which can be easily read by Facebook later on, whether you click a “like” button on any website or not. So, let me give you an easy overview. Let’s suppose you are planning to buy a new mobile phone and searching for its price and review on multiple websites using your desktop or mobile apps. So, keeping your interest in mind, Facebook will show you Interest-based Ads to help you get the best price and brands to consider. Sounds really good! However, this type of tracking can be really dodgy as well. Because along with your online activity, other personal information such as your location, age, medical habits, and many more are collected and added to their databases in an effort to create your profile for marketers. If you don't want any third-party website to send your data to Facebook or any prying eyes, you can opt-out through a special tool available on the Digital Advertising Alliance site and let the companies know that you are not at all interested in sharing your data. Once you are on the Digital Advertising Alliance website, you will serve the above screen. 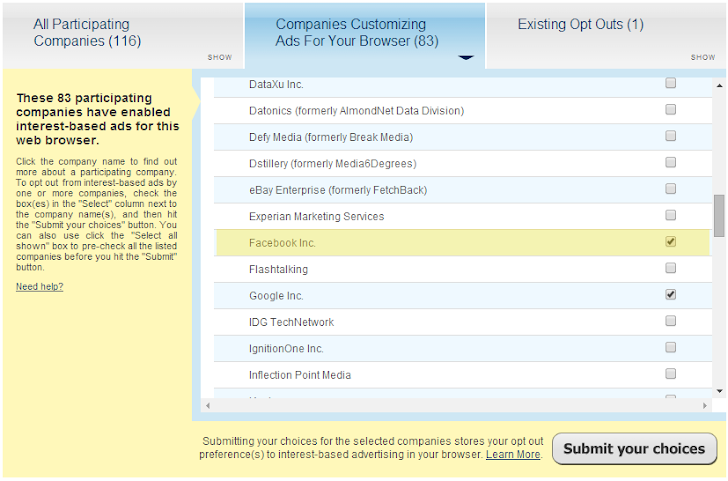 Click the "Companies Customizing Ads for Your Browser" button. It will show you list of all the companies which are sharing your data. But before doing this, you need to turn off your 'ADblock' like browser plug-ins for a minute. Click Facebook and any other sites you want to opt-out of your most private internet activities, and then scroll down and hit 'submit' button. If you own an iphone, open settings and go to General->Restrictions->Advertising, and then click "Limit Ad Tracking." If you own an Android Smartphone, go to Google Settings->Ads->Opt Out of Interest-Based Ads and click, you are done.